Perry, whose birth name is Katheryn Hudson, said she grew up in a Christian “bubble” — both of her parents are evangelists — but always found herself probing for answers to her faith’s biggest questions. When she was 16 years old, just one year after the release of her Christian record, Perry said she felt herself “backsliding.” Her career started taking off, and her interests broadened, making it easier to step out of the “bubble” in which she once lived. Perry was discovered that same year by producer Glen Ballard, best known for putting Alanis Morissette on the map, and soon moved to Los Angeles, where she lived in a posh apartment in Beverly Hills. Looking back, the 34-year-old singer remembers being overwhelmed by the “very chic” apartment. Around the same time, Perry set off for England, where she wrote a series of songs, including “Nothing Like the First Time,” a sensual ballad about exactly what it sounds like. Initially, the singer-songwriter said, she felt bad about the sexuality in the song, but then she decided she quite liked it. Perry landed her first major hit, “I Kissed a Girl,” in 2008. 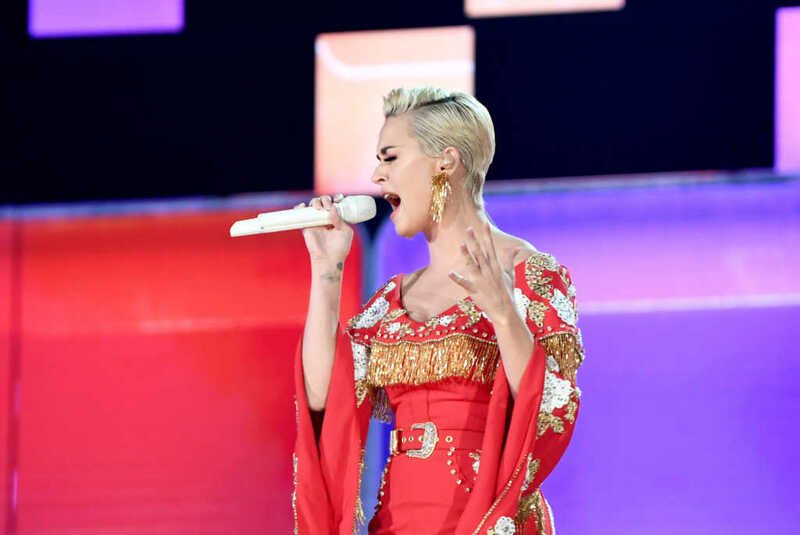 After years of soaring success, it all came to a standstill — a collapse, really — when in the aftermath of the 2016 election, her album “Witness” was heavily criticized for its “half-woke” response to President Donald Trump’s victory. In that tough season, Perry did what she felt most comfortable doing: she turned to the limelight. She became so open about her mental health — and her struggle therein — that she live streamed a handful of therapy sessions on YouTube as a way to promote the much-maligned record. The process, Perry said, gave her the chance to think about herself more positively. This is not the first time Perry has recalled her Christian upbringing or dabbled in her seemingly dormant faith. Of that “Jesus” tattoo, she told Katie Couric in 2009 the marking serves as a reminder of her Christian roots and that she “can always go back” to her faith.